So I recently bought a brand new lawn mower. It had a Briggs and Stratton engine which was a real selling point. As I was in the store, I grabbed some oil as I figured the oil sump was probably empty. Turns out I was right, as there was a big yellow warning sticker on the engine to remind the user to add oil. To actually add 4 stroke oil. Which made me take note as I had bought only 2 stroke oil as that's that's what I had been adding to my old Briggs and Stratton engine until the casing gave way due to rust and I could no longer safely push the mower. Maybe that wasn't the smartest idea in the world! So, given it was a brand new engine, what should I do? Use the recommended oil of course! 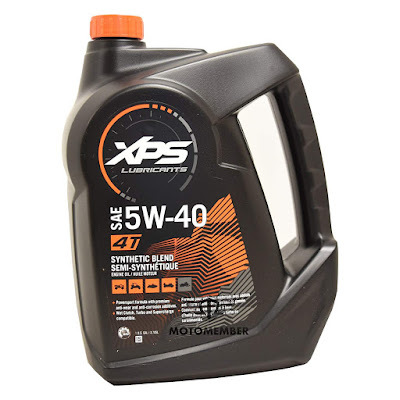 Now, I wasn't going to drive all the way back to the store to grab the oil as that would have taken an hour and I really wanted to cut the lawn, so I'd thought I'd just grab some 4 stroke oil from the petrol station down the road. Nor did the one across the road. So screw it I thought and added the two stroke to the brand new engine. Nothing but the grass was cut. The engine didn't smoke and it started the first time which is simply a great feeling when you've just laid out some serious cash for your first ever brand new lawnmower! So in terms of the science, 2 engines stroke engines work slightly different from two-stroke engines. The engine of a two-stroke will complete its combustion and exhaust cycle in only 2 strokes or cycles of the piston, whereas a 4 cycle taking 4 strokes of the piston. The only other difference between the two engines is that a 4 stroke engine uses oil from a sump system rather than being added directly to the fuel in a 2 stroke system. However, adding 2 stroke to a 4 stroke engine is not a long term solution. 2 stroke is designed to be used with the fuel inside the engine and not in a 4 stroke engine. It has different qualities, especially its performance under the high temperatures of engines bigger than it is designed for use in. It's for this reason that you should indeed follow the engine manufacturer's advice and use 4 stroke oil. Sure the 2 stroke works in a pinch, but for the long-term efficiency and performance, the 4 stroke is the way to go. If you suddenly feel you need to buy some 4 stroke oil, check out some options on Amazon.